The Summer Term will be busy with Club Competitions starting soon, and 2 competitions south. We will also hold our annual Prize giving Night in the Boating Club in June – date to be arranged. 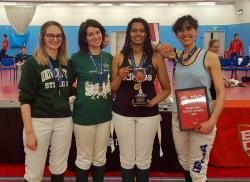 First, Faye Perry, one of our fencers who has recently moved south to study at Stirling University was part of a team of 4, who won gold in the British Universities (BUCS) Women's Team Championships. This was held recently in Nottingham. The team beat Cardiff in the final. - Club U13 Epee Championships, this new event is provisionally booked for Sat May 25that Gilbertson Park Hall. 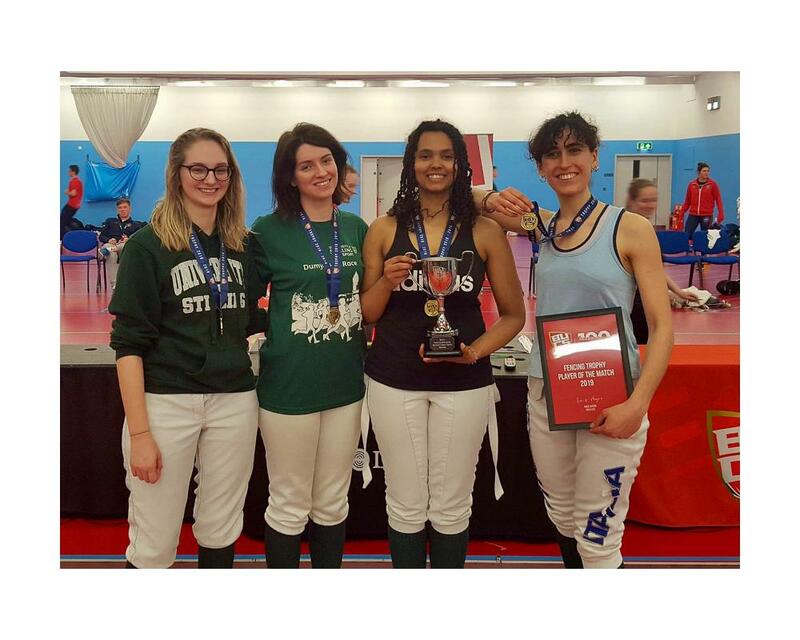 - Under 18’s foil and epee club comps, will fewer numbers and be held at club nights, dates to be announced. I’ve listed below who I have noted down as taking part, but I may well have left some out so please let me know if you are on the list but NOT entering, OR, if you are NOT on the list but are entering. As soon as possible please. Open to all, date to be confirmed. This is a new competition and the first time the club has run an epee competition at this age group. We have negotiated a group discount fro this competition on the understanding we send in one group entry which needs to be submitted by the end of this week (by April 20th). See link to full details LPJS and please ask Phil if you are interested but not sure about it. Entries so far: James Masson, Murray Todd, Charlie Anderson, Dexter March, Izzie Gibson, Torquil McKenzie, Amelie Atia, Mara Bordeianu, Olivia Scott, Sami Morrison. Please ask me about any of these competitions if you are not sure about anything.